The market for powerful pickup trucks is highly competitive, with most popular brands offering a high performance truck. With so many options, it is hard to differentiate between vehicles – making the choice is harder than you might think. Here, we’ll take a look at two of the more popular pickups, the GMC Sierra and the Chevy Silverado. Both of these vehicles offer crew-cab and other variations on their build. The vehicles are quite comparable, but there are a few key differences that will certainly make a difference for the buyer. Performance – GMC Sierra and Chevy Silverado equally powerful? Reviews: What Do The Experts Say? 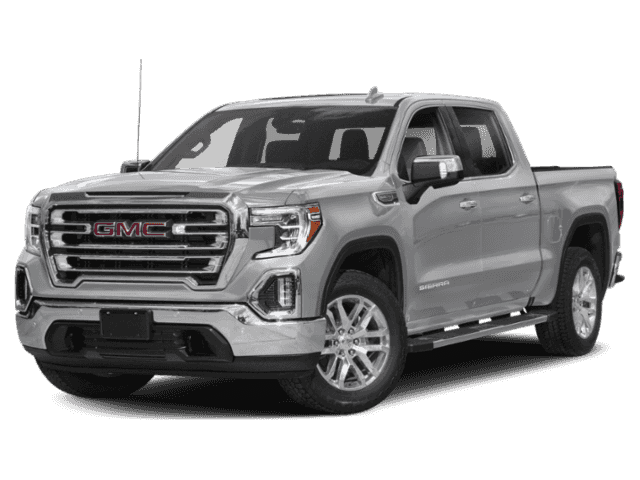 A jack-of-all-trades and quite good at all of them, the 2019 GMC Sierra 1500 has comfort, capability and versatility in equal measure. It’s refined and delivers an appealing balance between performance and fuel efficiency. Score: 3.5 out of 5 A wide range of body styles, an impressive interior, and a lineup of powerful and fuel-efficient engines make the 2019 Chevrolet Silverado a solid choice in the full-size pickup class. From the hose-it-out base model to the high-lux Denali, the GMC Sierra 1500 is a flexible rig. Rear and all-wheel drive, three different body styles, and a trio of engines provide plenty of choices to meet the demands of a variety of buyers. Score: 4 out of 5 The Silverado offers strong powertrains, serious hauling capability, good real-world fuel economy, and a plethora of features, but it comes up short on ride and seat comfort. The GMC Sierra features powerful engines and expansive front seats. Additionally, the cabin looks great, especially in higher trims, and the infotainment system is easy to use. The 2019 GMC Sierra 1500 and 2019 Chevy Silverado 1500 are very similar vehicles. Both are at the top of the list in terms of the heavy duty pickup class, and there are only minor differences for the buyer to consider. The Chevy Silverado will save you some money, but is a less comfortable and luxurious pickup. The GMC Sierra costs more at every trim but you get what you pay for – the interior is beautiful and offers a more comfortable ride. This is generally the trend with each trim on these vehicles, the GMC Sierra Denali is more expensive than the Chevy Silverado LTZ (around $3,000 more at each level). In the end, the decision is up to you. These two trucks are very comparable, and the difference is most likely a small detail or two in the buyer’s eyes. The decision comes down to whether you prefer the cheaper truck or a bit more luxury. Hopefully after reading this and doing your own research you will feel comfortable making your own choice.